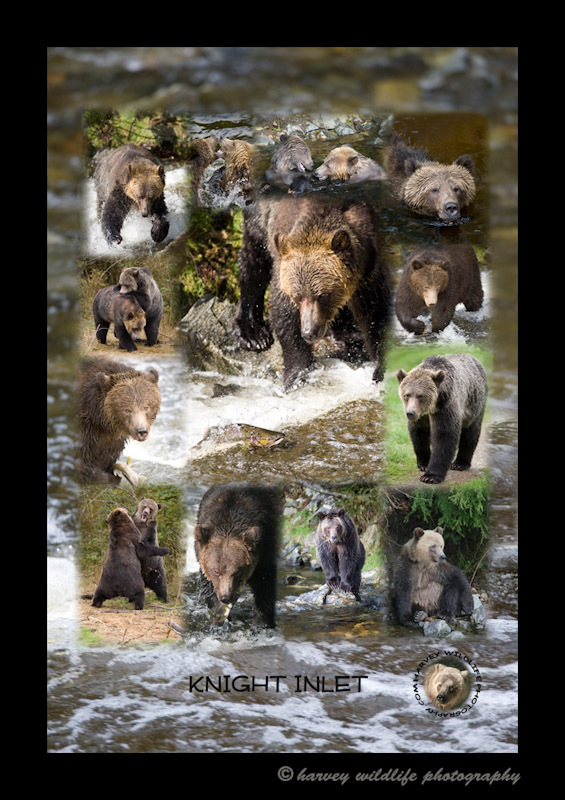 This collage was made as memory of the three days that we spent photographing the grizzly bears at Knight Inlet. The government allows each company to take tourists to see the bears for two hours each day during the salmon run. It was fun watching the grizzlies fishing, playing, fighting, eating and just generally being bears in a bear society. During those three days we saw up to 17 bears each day.